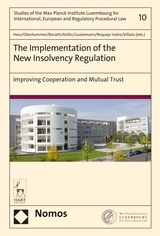 The study is a result of a collaborative research project addressing “The Implementation of the New Insolvency Regulation – Improving Cooperation and Mutual Trust”. The project was undertaken by the Max Planck Institute Luxembourg for Procedural Law, the University of Vienna and the University of Milan, and co-funded by the European Union as part of the Commission's Action Grants 2013 for Civil Justice. 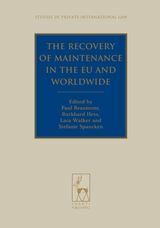 The focus of the study concerns specific issues of cross-border insolvencies under the recast of the Insolvency Regulation which already has been prepared by a large part of the contributing authors in the Heidelberg-Vienna-Luxembourg Report. 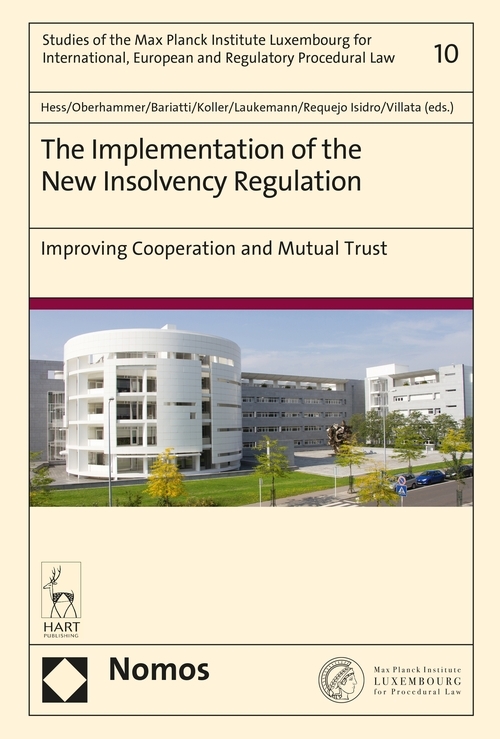 3.insolvencies of groups of companies, with a particular focus on jurisdiction, COMI-migration, “group coordination proceedings” and other instruments of coordination. Burkhard Hess is the Director of the Max Planck Institute Luxembourg for International, European and Regulatory Procedural Law. He is a Professor at the Universities of Heidelberg and Luxembourg. Paul Oberhammer holds a professorship for Civil Procedural Law at the University of Vienna (Austria). Stefania Bariatti holds a professorship for Private International Law at the University of Milano (Italy). Christian Koller holds a professorship for Civil Procedural Law at the University of Vienna (Austria). Björn Laukemann (Maîtr. 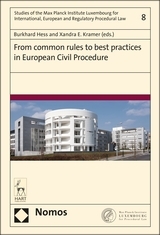 en droit, Aix-en Provence) is a Senior Research Fellow at the Max Planck Institute Luxembourg for International, European and Regulatory Procedural Law. 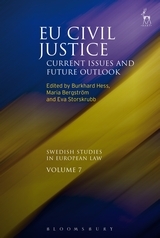 Marta Requejo Isidro is a Senior Research Fellow at the Max Planck Institute Luxembourg for International, European and Regulatory Procedural Law and Professor at the University of Santiago de Compostela (Spain).